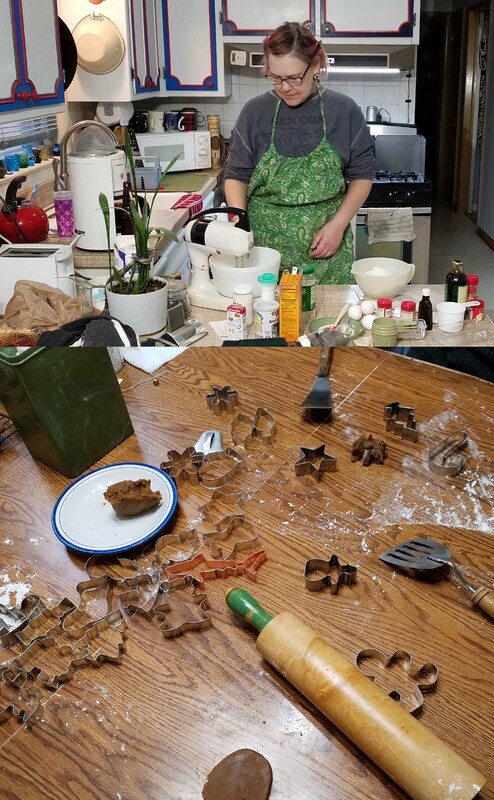 The Great Wappelville Baking Show! 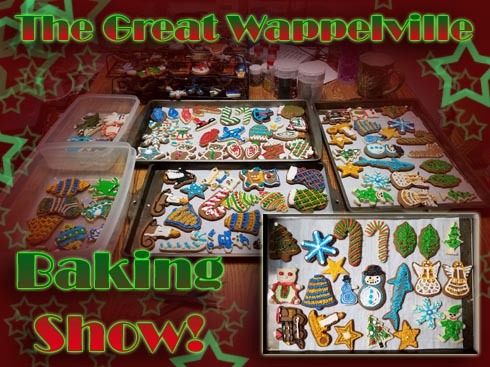 On the day of our Anniversary, it is time to show another annual tradition in Wappelville, and that is making the Christmas cookies!! 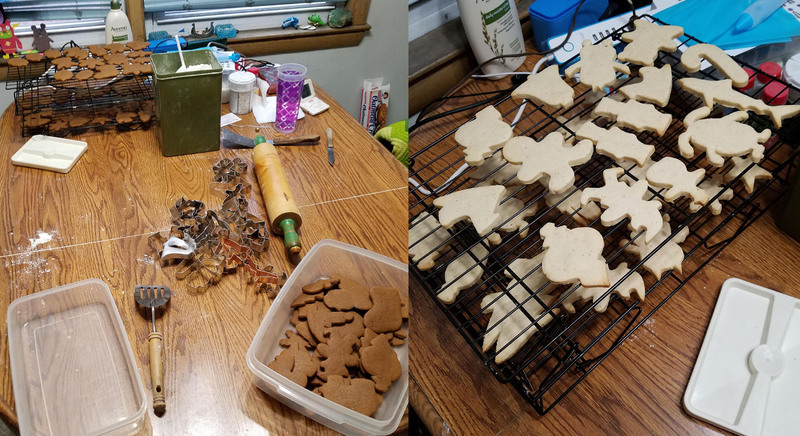 With the Gingerbread and Nutmeg cookies baked and cooling, it was time to make the all important frosting! 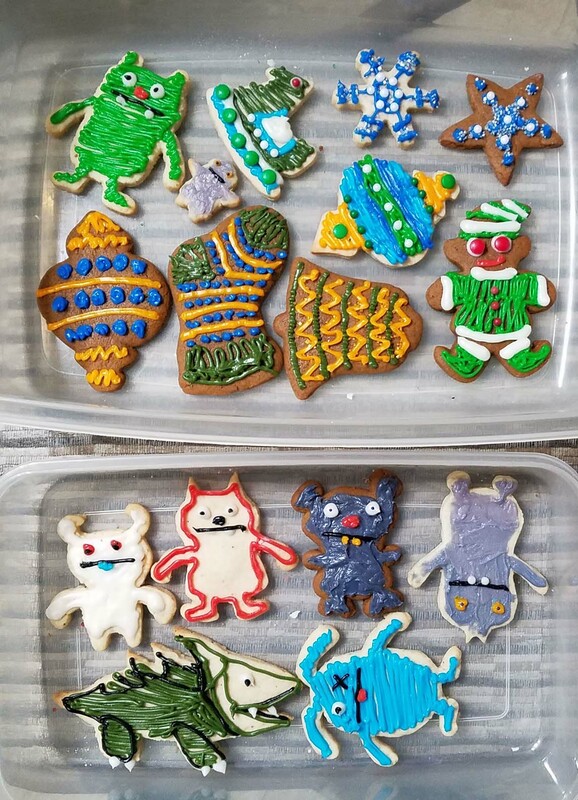 On to the frosting! 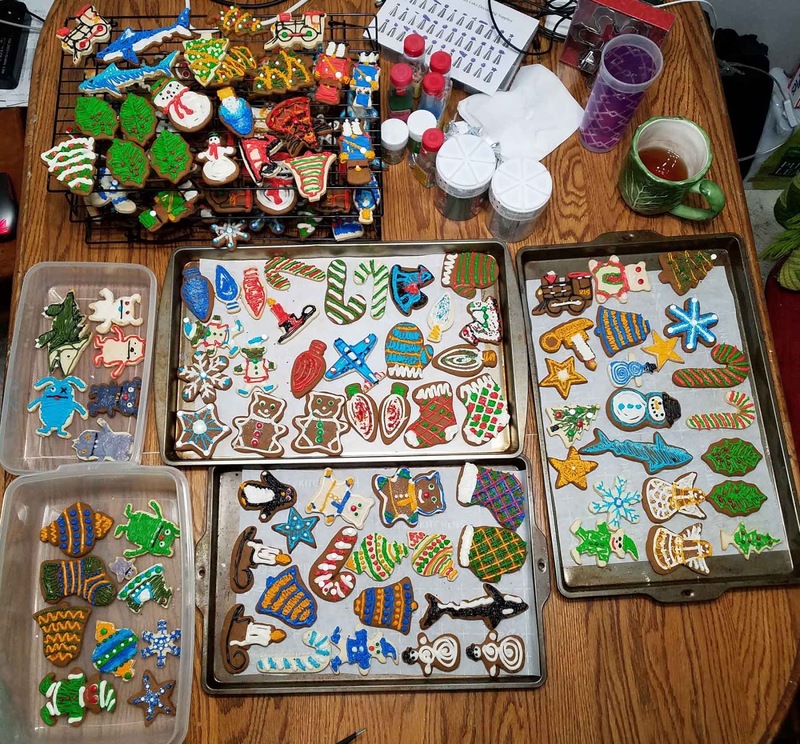 It is hard to believe that most of these food colorings were used for the fondant frosting of our wedding cake. 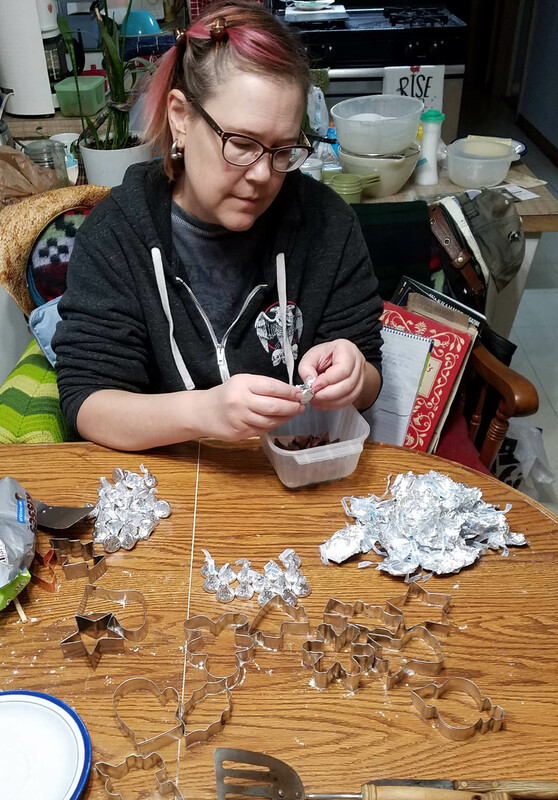 Cathy discovered some new candy decorations for the cookies in various colors, so I was looking forward to trying them out! 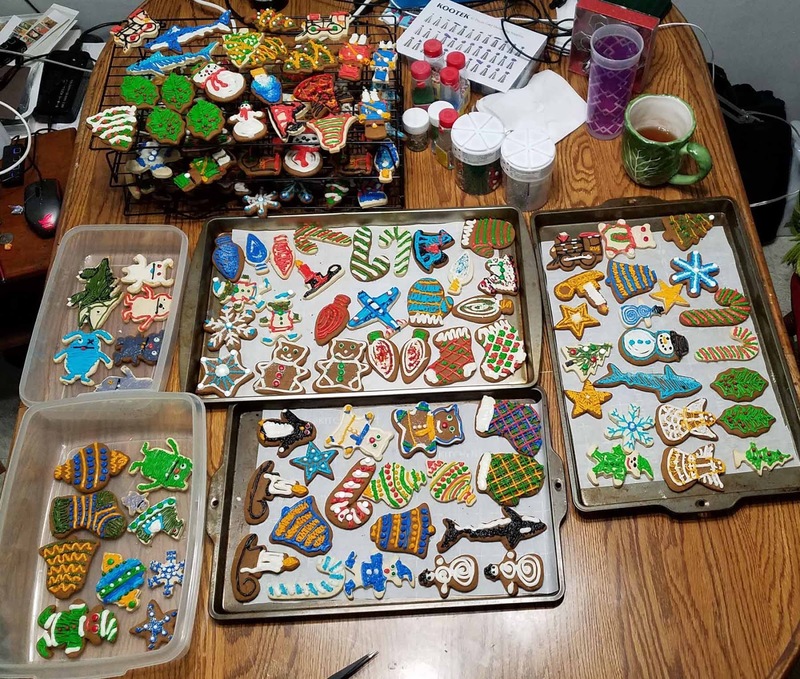 All the colors are now in bags, and it is time to decorate those cookies. 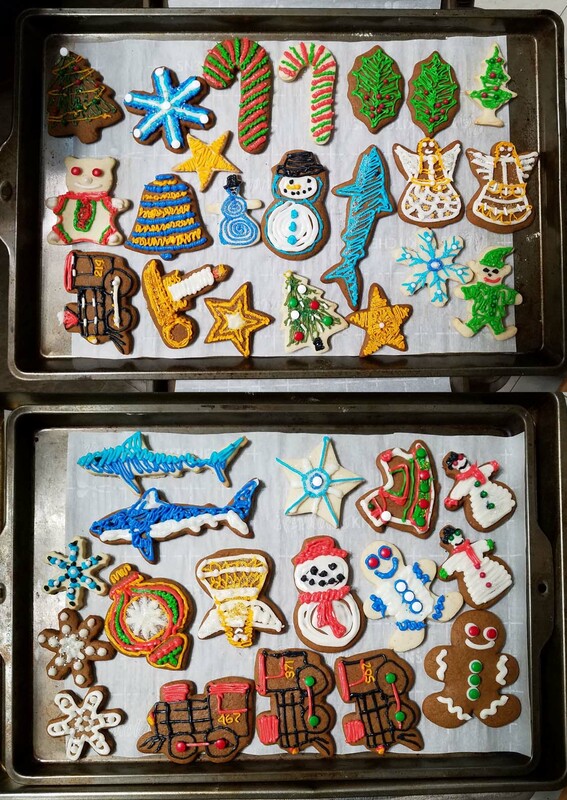 Here we have the first few trays, including the Christmas Shark. Those new candy bits proved to be just as helpful as we thought, and opened up a lot of new options for decorating. It just would not be Christmas without trains... all aboard the Wappelville Express! 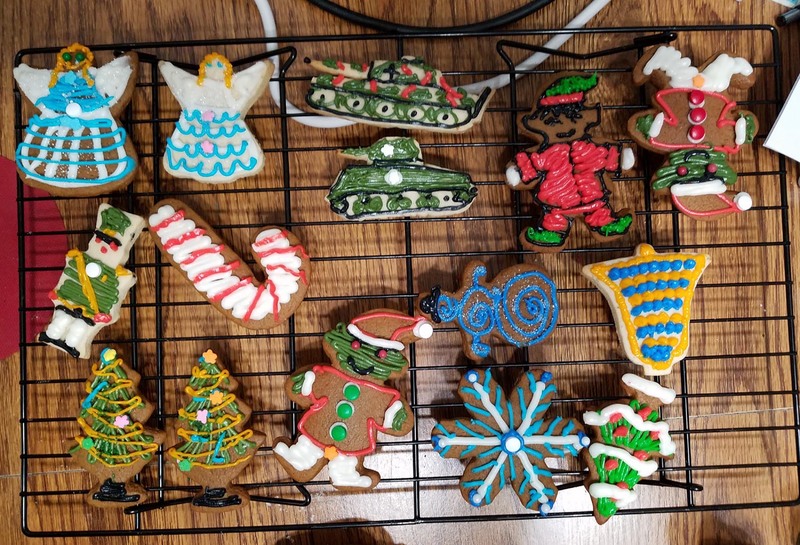 It wouldn't be a happy Holiday without a few tanks and soldiers. 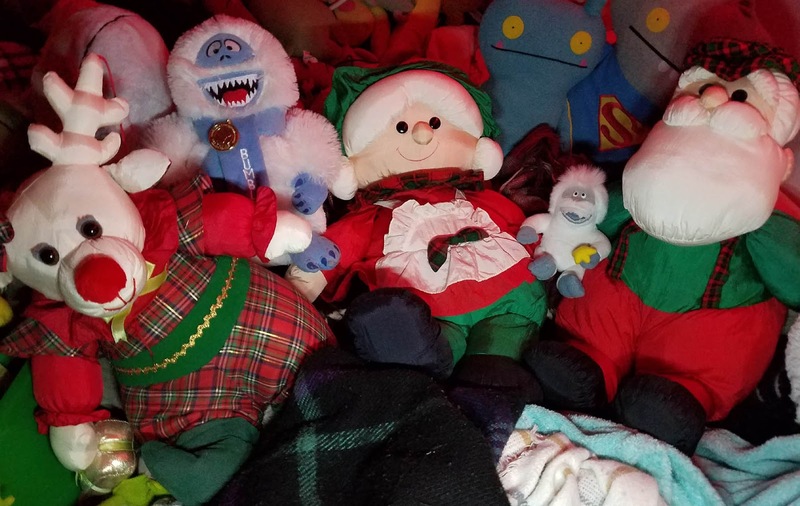 And some Goblin helpers for Santa! Holiday Spirit really soars with the Dauntless SBD and the Demon Angel. 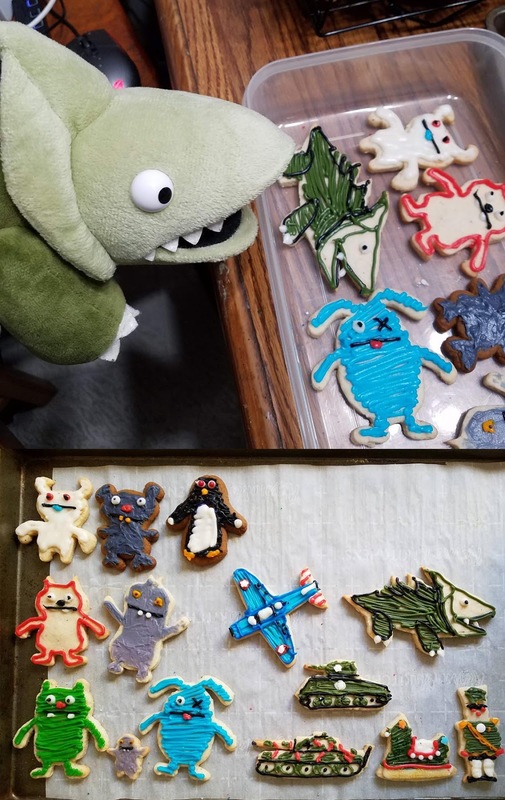 Trunko, Jeero and the rest of the stuffed animals would be very disappointed if we did not have a few cookies to represent them! 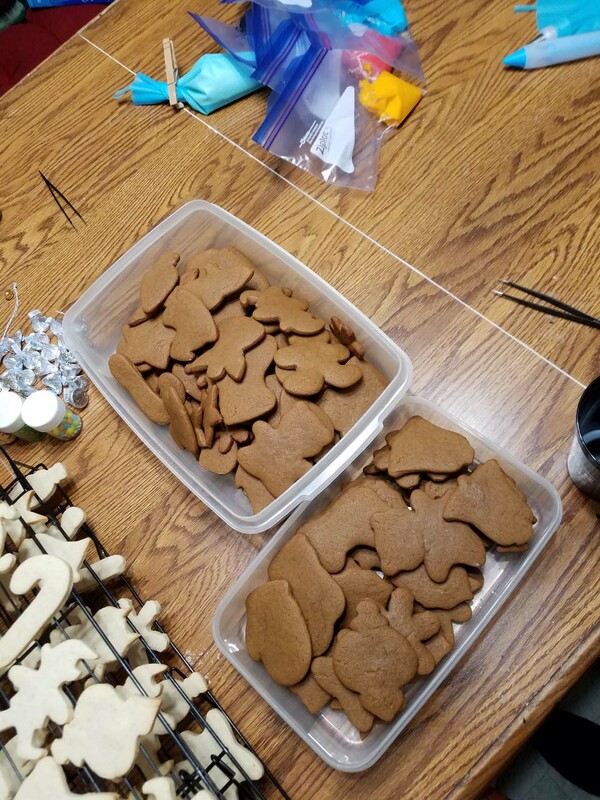 Yup, we made a few cookies. Just a few. 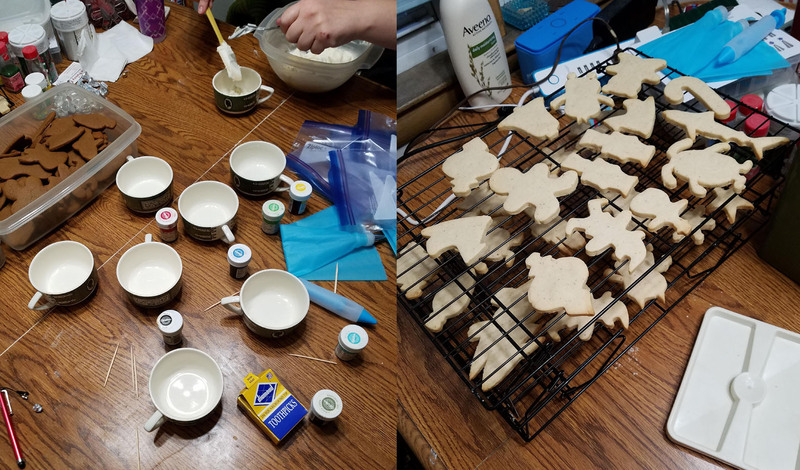 I think it was about 11 pm by the time we were done. So it is time to say Merry Christmas, and wish a Happy Anniversary to my wife Cathy. We have been on the miniatures painting journey from the very beginning, and it has been a great sleigh ride! I love you very much!